Ego Ella May [pronounced Egg-o], has just signed to Brighton label Tru Thoughts – and is soon to reveal new music. Ego’s track ‘Table For One’ is a defiant song of confidence and self-esteem. With an album coming out on Tru Thoughts later this year, it’s a pre-cursor as to what will follow. Inspired by jazz and soul, the Brighton label feels like a perfect home. 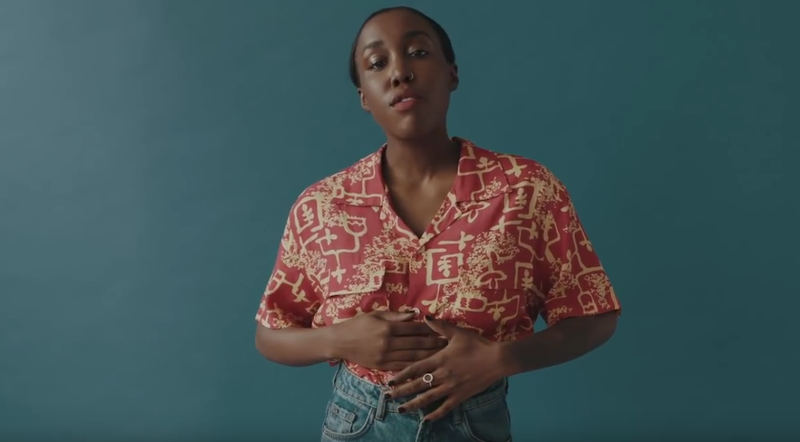 To sing with poignancy and wisdom is a skill that vocalists work towards through their careers, yet Ego already shows glimmers of this maturity – especially in her recent Boiler Room session. Before Ego’s debut album drops, she will be performing at Ghost Notes on 14 February for Supreme Standards’ second show in the popular Peckham venue. In fact, it will be one of the very last before Ghost Notes shuts its doors for good. Ego will be supported by her talented label mate Bryony Jarman-Pinto. The vocalist, who has written her album with producer Werkha, will also be performing new tracks. We took some time out with Ego Ella May, one of our ones to watch in 2019. Read our full list here. \\ ‘Table For One’ is an empowering statement; tell us about where the energy for this came from. It was healing for me as it helped me come to terms with a difficult break up. The energy I think was there all along… I just hadn’t channelled it in the best way previously. \\ On your socials you often refer to mantras and share self-care advice with your followers; what’s the best piece of advice that you’ve ever been given when it comes to your music? My fave quote ever is ‘if not this, something better’. I apply it to EVERYTHING. In regards to music, it means that I don’t need to worry about things not working out, or missed opportunities because I believe in alignments; my sister always says ‘beautiful days lie ahead’. \\ How did you learn to sing? Who inspired you vocally when you were growing up? \\ Tell us about your headline set for Supreme Standards on 14 February.